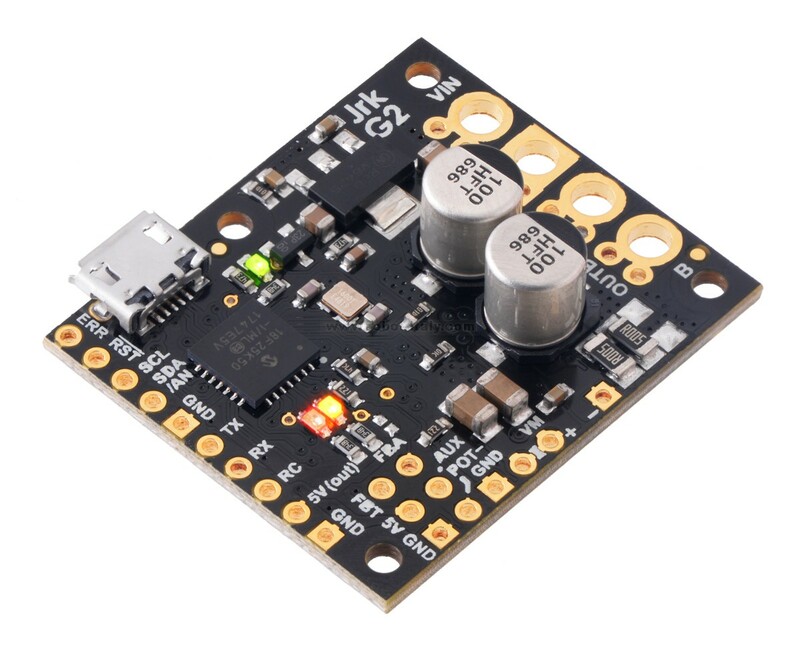 This powerful motor controller makes closed-loop speed or position (but not both!) 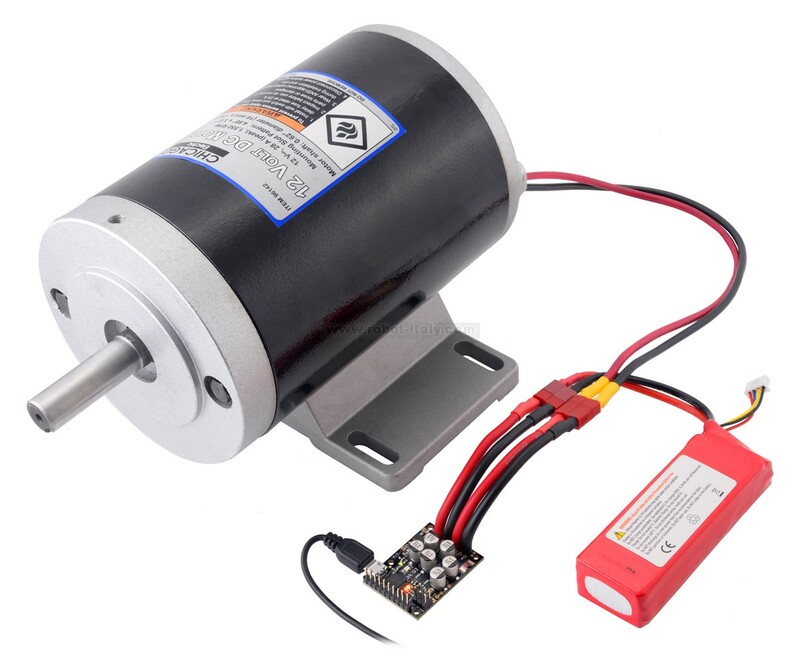 control of a brushed DC motor easy, with quick configuration over USB using our free software. 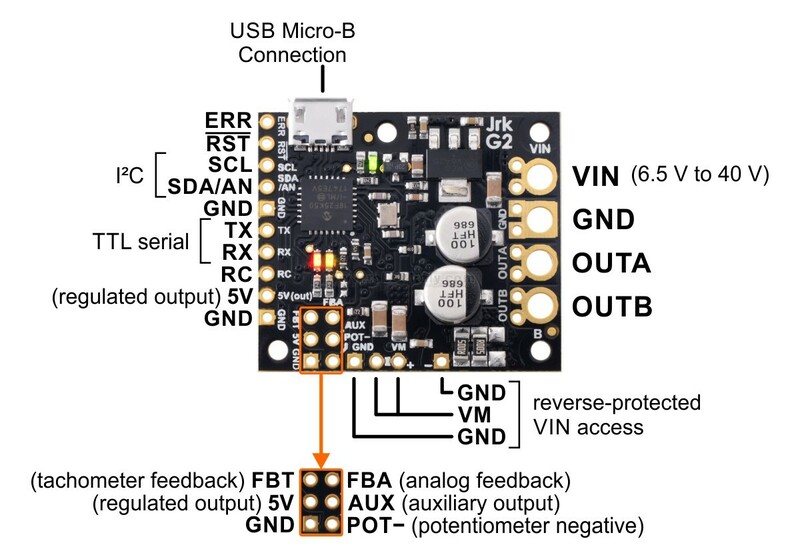 It supports five control interfaces: USB, TTL serial, I²C, analog voltage (potentiometer), and hobby radio control (RC). 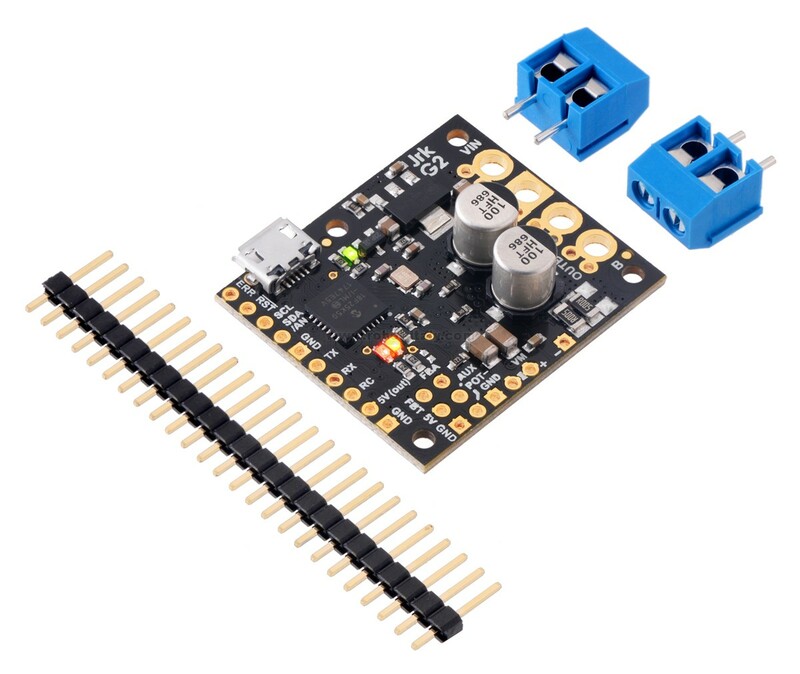 This version offers a wide 6.5 V to 40 V operating range and can deliver continuous output currents up to 13 A without a heat sink. 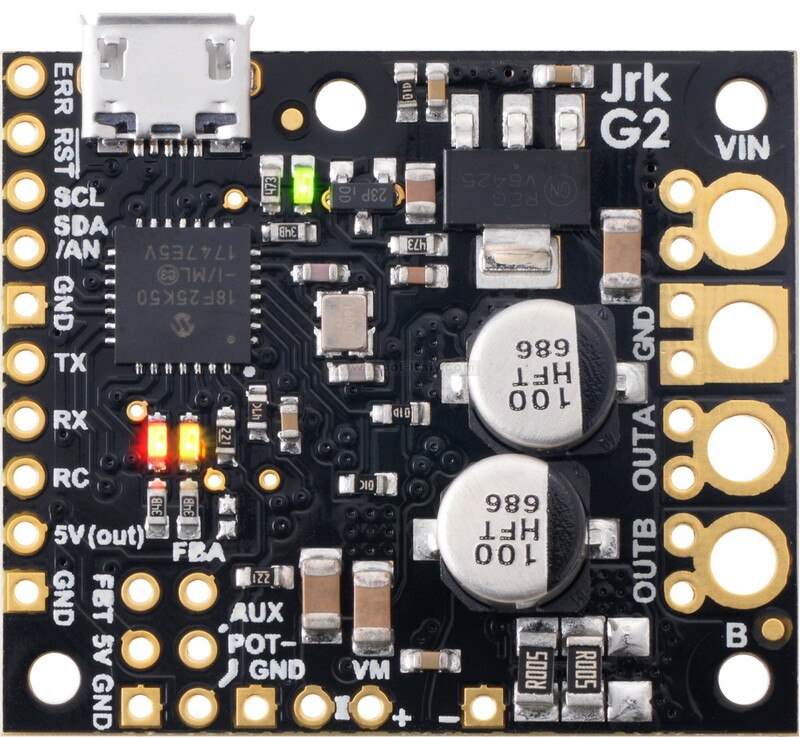 The Jrk G2 24v13 operates from 6.5 V to 40 V and can deliver a continuous output current of 13 A without a heat sink. 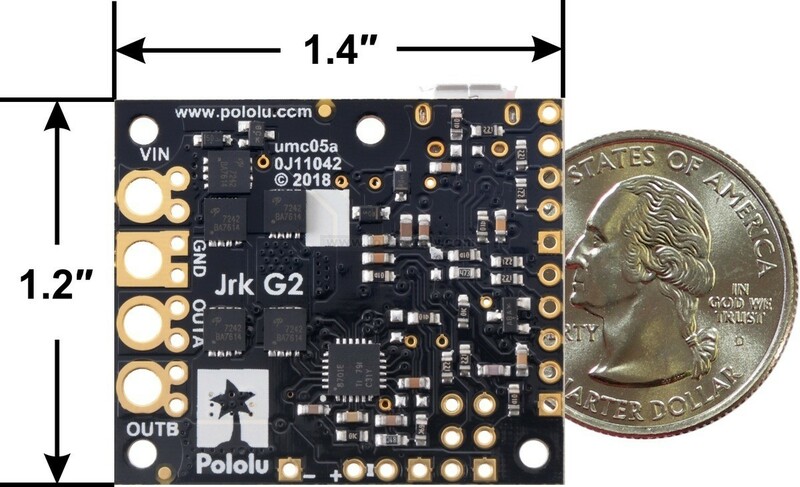 Note that 40 V is the absolute maximum for this controller; the maximum recommended operating voltage is 34 V, and the maximum recommended nominal battery voltage is 28 V.
If you need to identify which version you have, you can just plug it into a computer through USB and the Jrk software will tell you. For quick visual identification without a computer, you can distinguish this version from the identically sized Jrk G2 18v19 by the number 100 on top of the tall silver electrolytic capacitors.